"Helping you reach your peak financial performance is our passion"
The Mancinelli Family Office is a wealth management team established to help meet the wealth management needs of affluent investors. They offer a high-touch concierge style service, customized for VIP clients, high net worth and ultra-high net worth individuals and professionals in the sports and entertainment industry. Professional athletes know the importance of a team. The support and advice they receive from their team of agents, coaches, teammates, managers, friends and family, play a major role in their achievements. Affluent investors are not different: choosing the right wealth management team can mean the difference between growing and maintaining their wealth, financial stagnation or even failure. The Mancinelli Family Office Sports and Entertainment Program recognizes professionals in this industry are unique in that they earn large sums, often early in their careers, are taxed heavily, have unique cross-border needs, philanthropic needs. They expect an easy one-stop relationship that is concierge-style and dedicated to their unique needs. Elite athletes, entertainers and media professionals are focused on performing at the highest levels. With many demands on their time, managing money for the best possible outcome can be a challenge. Earnings fluctuations, early retirement, injuries, tough work and travel schedules, relocation, divorce, bankruptcy, tax law changes, lawsuits or even fraud must be considered when structuring a wealth management plan. A team dedicated to the needs of high net worth individuals must have a "sharp saw" and be the best-in- class: this is where we excel. 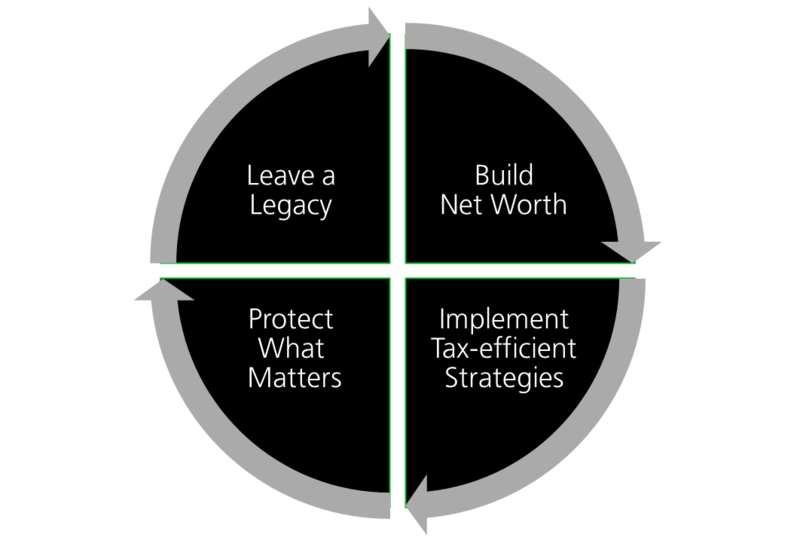 The Mancinelli Family Office demonstrates their unique value proposition through a proprietary deliverable called the Personal Wealth Playbook™. The Personal Wealth Playbook™ provides a holistic and integrated overview of each client's unique wealth facts and strategies. Its purpose is to educate and empower. As clients ask questions and make their concerns known, Elly acts as their dedicated Wealth Coach, meeting them where they are and moving them up the financial empowerment pyramid. With time the Personal Wealth Playbook™ becomes a concise wealth companion – designed specifically for each client. It becomes a game plan and fear antidote. The Personal Wealth Playbook™ holds key financial planning action items, and acts as visualization tool to enhance communication with the client's financial team and significant others. It is a living document updated and revised on an ongoing basis to reflect changes. This unique process is what sets apart the Mancinelli Family Office from other advisors. Engagement of experienced money managers, custody, insurance, loans, etc. When you engage the Mancinelli Family Office, the service you receive is supported by the significant resources of TD Bank Group, with over $1.3 trillion in assets, over 85,000 employees and a full range of financial solutions that service TD clients around the world. For more than 155 years, TD has helped generations of clients with their personal, family and business assets in the ways that matter to them. TD offers banking with global reach, with over 2,500 locations across Canada and in the U.S., as well as operations in over 10 other countries. With over thirty (30) years of experience, the Mancinelli Family Office operates with a sharp focus on both risk management and asset performance. Their team consists of Elly Mancinelli, Vice-President, Investment Advisor, Christina Romano, Investment Advisor and Cavin Rawlins, Client Service Associate. Elly acts as your single point-of-contact within TD Bank Group – accessing capital markets for products, services and expertise required to fulfil even the most complex planning needs. Her talent is in recognizing trends, approaches and opportunities. She is good at presenting ideas using visual structures, dealing both with the big picture and the bottom line. She is especially good at revising plans and systems as circumstances evolve. Elly prefers to be at the leading edge and works in paradigm shifts. She creates unique, unusual and often unknown solutions. Mancinelli Family Office is a part of TD Wealth Private Investment Advice, a division of TD Waterhouse Canada Inc. which is a subsidiary of The Toronto-Dominion Bank. Elly's talent is in recognizing trends, approaches and opportunities. She is good at presenting ideas using visual structures, dealing both with the big picture and the bottom line. She is especially good at revising plans and systems as circumstances evolve. Elly prefers to be at the leading edge and works in paradigm shifts. She creates unique and unusual solutions utilizing the interconnectedness of information which helps her achieve optimal performance outcomes. 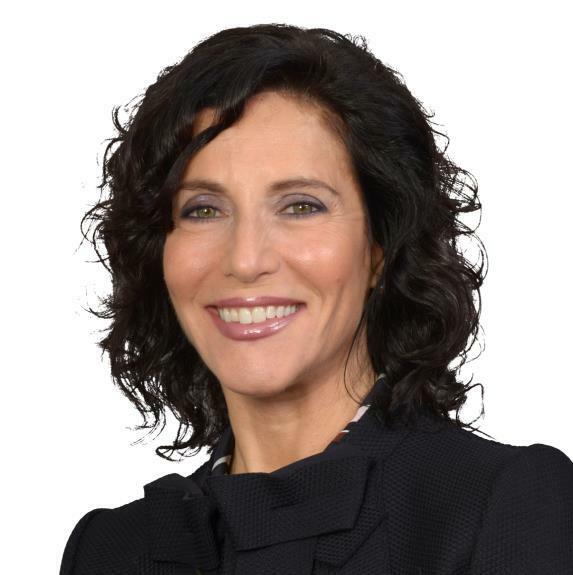 Elly is a dual-licensed advisor; she has been an Investment Advisor since 1994 and a Life Insurance Advisor since 1996 and she is currently licensed as a Life Insurance Advisor through TD Wealth Insurance Services. Elly graduated from Western University with a Bachelor of Arts Degree and University of Guelph with an Honours Bachelor of Science and has since earned her Certified Financial Planner (CFP®), Registered Retirement Consultant (RRC) and the Certified Professional Consultant on Aging (CPCA) designations. In her spare time, Elly can be found at a CrossFit Box, a hot yoga studio, on a bike, with family and friends, or somewhere in nature off the grid. Christina has a great deal of stamina and takes great satisfaction from being highly productive. She sets high standards and has a unique ability to envision what is possible in the near and longer-term. Christina is inspired by the future and what could be. Driven by her talents, she is energized by her plans. She sees the power innate in all of us to transform whatever we think into possible tangible outcomes. Christina is a visionary thinker and is impelled to help clients move into action. Christina will consistently put forth effort to help clients be their best or to finish first. Christina graduated with a Masters of Business Administration (MBA) from University of Saint Mary in 2017 and also with an Honours Bachelor of Social Science degree from University of Ottawa in 2010. Christina is a registered Life Insurance Advisor through TD Wealth Insurance Services. In her spare time, Christina enjoys experimenting with new recipes in the kitchen, playing volleyball or baseball, and spending time with family and friends. Cavin has a near obsession for doing things right. With an incredibly strong work ethic, he has earned the reputation for extreme dependability. Cavin is inspired by the continuous improvement process and is good at finding solutions that often reside "outside the box". More importantly, and beyond administrative skills, Cavin approaches every task with careful consideration to the person requiring assistance. Cavin graduated from the Clarence Fitzroy Bryant College in 2008 with an Associate Degree in Business, Accounting and Economics. Prior to this role, Cavin was a trader for TD's Direct Investing channel. He is a Registered Investment Representative with IIROC, and brings over a decade of direct experience to this position. Cavin is an adventure-seeking individual, who is active both in the gym and outdoors. He is a proud Blue Jays fan, and enjoys spending time with family and friends.